FCD ductile iron compression rings are open-ended rings that fit into a groove on the outer diameter of a piston in a reciprocating engine such as an internal combustion engine or steam engine. As an illustrious corporation of the industry, we are eagerly immersed in presenting a broad gamut of Compression and Proving Ring to our patrons. 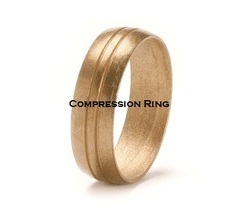 We are manufacturing wide range of Compression Rings. Our company has mastered the art in providing Piston Ring Compression. We offer a wide range of Compression Rings that are very popular for their precision engineering features. Federal-Mogul offers various types of compression rings — all designed to seal the combustion chamber from the crankcase (blowby) and transfer heat from the piston to the cylinder. 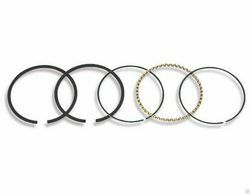 These rings also assist in controlling engine oil consumption, which has a strong influence on exhaust gas emissions. The Nasen ring can take one of several forms - plain faced or taper faced, square cut or under cut depending on the attributes of the application. Shortens running-in period and increases oil scraping ability of the ring.